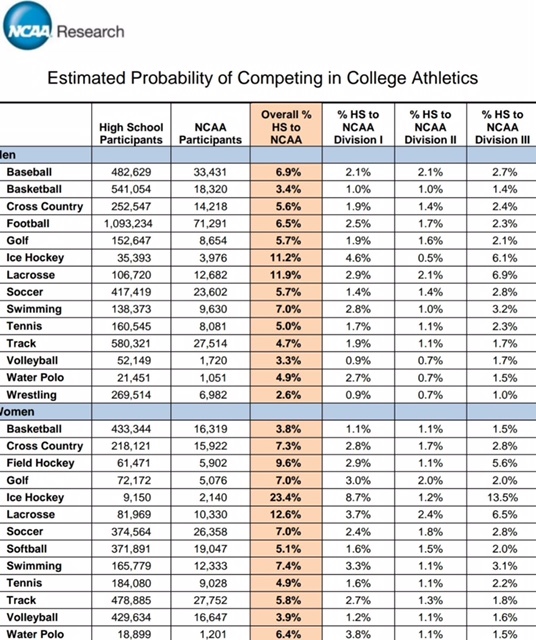 Football has more full ride scholarships available than any other college sport. There are over 850 college football programs across six division levels with 80,000 total collegiate college football players. If a player is willing to look outside of their immediate region there is an opportunity to play college football and work to earn a scholarship. Only NCAA DIA college football scholarships are guaranteed full rides. All other division levels will not be guaranteed full ride scholarships. There are 120 NCAA DIA programs, 126 NCAA DIAA, 148 NCAA DII, 237 NCAA DIII, 91 NAIA and 138 NJCAA college football programs across the country. The number of football scholarships allowed per team varies depending on division level. NCAA DIA programs have up to 85 scholarships per team, 63 for NCAA DIAA, 36 for NCAA DII, 24 for NAIA and up to 85 scholarships for a fully funded NJCAA program. Help yourself in the recruiting process by improving your grades and making early contact with colleges and universities. There are procedures that you can follow beginning with your freshman year. Check out the grade level checklists below! 22. BE THOROUGH IN YOUR SEARCH- ASK QUESTIONS, THE ONLY QUESTION THAT IS A BAD QUESTION IS THE ONE YOU DON’T ASK. 23. NEVER COMPARE YOURSELF TO ANYONE ELSE!! !